SCRIBA, NY — The three recently completed refueling and maintenance outages at Exelon Generation’s upstate New York nuclear energy facilities, R.E. Ginna Nuclear Power Plant, James A FitzPatrick Nuclear Power Plant and Nine Mile Point Nuclear Station, are already demonstrating the value of the Clean Energy Standard and its zero-emissions credits first-hand. In total, the three refueling outages resulted in a combined investment of $310 million. For the Ginna and Nine Mile Point facilities alone, Exelon Generation invested more than $180 million in the purchase of new fuel, capital upgrades and outage execution costs. The James A. FitzPatrick facility was recently acquired by Exelon Generation, which helped to fund refueling outage costs over $130 million. These important investments utilize thousands of internal and external skilled labor personnel to complete the work. Together, the three stations play a pivotal role in helping New York achieve its clean energy goals and can produce more than 3,350 megawatts of carbon-free electricity – enough to power more than 3 million homes.. In 2016, these 24/7 energy facilities generated over 26 million megawatt-hours of emissions-free energy. This accounts for more than 19 percent of all energy produced in New York State and avoids 16 million tons of harmful carbon emissions and thousands of tons of NOx emissions annually. 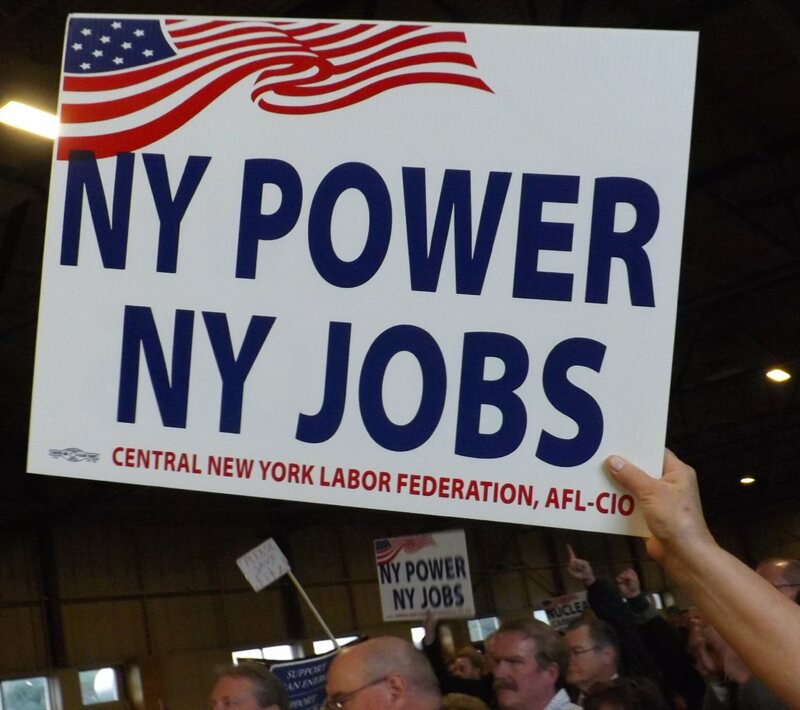 With the CES in place, three reactors in upstate New York were refueled between January and May, in an unprecedented schedule of refueling in the region that required thousands of union workers’ expertise. The union workforce needed for the refueling outages lodged in area hotels, patronized nearby restaurants and shopped in local stores, providing a significant boost to the local economies. While the units were offline, technicians replaced nearly one-third of the reactors’ fuel and performed thousands of inspections, tests, maintenance activities and modifications. Exelon Generation invests millions of dollars each year to upgrade its plants, installing new equipment and enhancing components to make the facilities even safer and more efficient. The James A FitzPatrick Nuclear Power Plant and Nine Mile Point Nuclear Station are located seven miles northeast of Oswego and 50 miles north of Syracuse. R.E. Ginna Nuclear Power Plant is located about 20 miles northeast of Rochester and 53 miles southwest of Nine Mile Point. Join us on Twitter and You Tube. Nuclear power is NOT CLEAN energy. That’s why they call the by product WASTE. Remember everyone that’s being stored on site for future generations to deal with.